4x 405 litre drums for, engine oil,ATF, Gear oil and hydraulic oil. 4x Air driven pumps, retractable delivery hose, delivery gun. 1x Tap off point for air line. 1x Air driven greaser bucket. 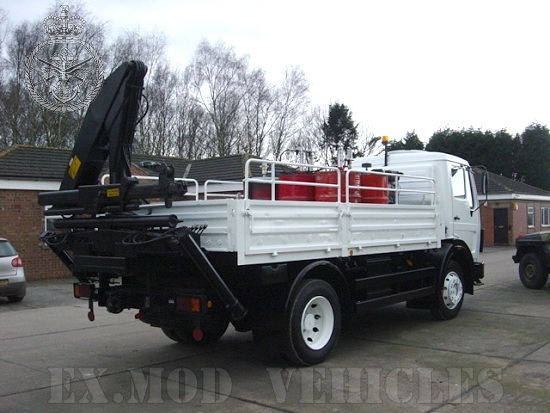 1x Hiab 3,000Kg crane - Ex MoD. 1x Air driven suction barrel, approx 100 litre capacity.